Creating good follow ups to a franchise can be an incredible challenge. As I covered before, the very act of making prequels and sequels is filled with pitfalls around the very idea of resolutions. A bad prequel or sequel can either prove to have no resolution or will derail the resolution of an entry that came before. But some prequels and sequels, often the most successful, are those which can stand solely on their own and find resolution from within. In fact, some of these prequels and sequels could be seen as spin-offs due to their detached nature. But, in actuality, these stories that exist between a prequel/sequel and a side-story tend to fall into something a little different than simply a spin-off, entering the domain of something the Japanese would refer to as a “gaiden”. Recently when covering what makes a good sequel or prequel I talked about the idea that each entry should have resolution of their own. The best example in recent times was that of Rogue One, where a prequel in a franchise notorious for bad prequels actually managed to get it right. Rogue One was a story of its own, one that could stand without a great deal of help from other entries in the franchise and that wouldn’t actually interfere with what the other entries were trying to do. There wasn’t anything particularly derailed by Rogue One, no one’s story arc was rewritten, no resolutions were invalidated, and the entire story was contained in such a way that it couldn’t actually detract from the rest of the series. But the thing about Rogue One is that, while being a prequel (as the very last scene enters right into A New Hope’s beginning), it was also quite clearly a side story. It’s even in the title, with “Rogue One: A Star Wars Story” leaving little up for interpretation. And, while being a side story can really mean just about anything, the approach that Rogue One followed was very much the same sort of approach as a gaiden – supplementing the material rather than supplanting it. Here in the west, when you have a new story branching off from a larger one, we tend to make them more insular and isolated from each other. You’ll take a stand out character or premise and you’ll break it off so that it becomes its own thing, but then take the franchise’s world to serve that character. While this can sometimes work (especially on television), the results are usually lackluster in shorter formats like film. 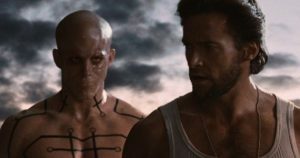 A great example is with the X-Men movies and its various treatments of Wolverine, starting with X-Men Origins: Wolverine – a prequel and a spin-off that committed all of the sins of both. It rewrote the timeline, changed a few characters, and tried to center everything on its protagonist. 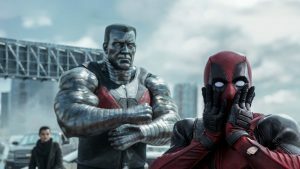 Essentially, most spin-offs (especially bad spin-offs), have the source material serve the isolated story rather than having the story serve the overall world. But in the case of Rogue One and “gaidens”, the whole purpose is to act as a supplement to the originals instead. These stories, acting to expand specific points of the original material such as the backstory of key characters or fill-ins for events that were only touched on briefly, help to expand on the original material without actually rewriting it. Rogue One was a vital plot point in the Star Wars universe, a film devoted to the Rebel Alliance’s efforts to discover and then recover the plans to the Empire’s nearly completed super-weapon. And, while the story itself is rather insulated, it expands on the universe and adds to the source material rather than taking from the source material. As you finish watching, listening to, or reading a side-story like Rogue One you come away with answers to questions that the original story might have left unanswered. In fact, some gaidens will even enhance details through simply showing an alternate perspective. In some gaidens a novel may be written from the perspective of a supporting character or a person witnessing events from a completely different angle. Examples of something like this would be if they had told the original Star Wars from the perspective of R2-D2 or of a Stormtrooper serving on the Death Star. In both cases, these stories would be telling exactly the same events but would give the original new depth that hadn’t been there before. And neither of these would imply the original was shallow, instead just putting extra context to events by showing other facets. And that’s where the line gets drawn in terms of approach between what would be simply a spin-off and what would be a “gaiden”. If the side-story you’re telling actually adds to the original – it’s a gaiden. Some could argue that the less successful spin-offs tried to do the same, but generally their failings lie specifically in that difference in approach. When you take X-Men Origins: Wolverine under consideration – does it really add to the original stories at all? Sure, some questions are answered, but the answers don’t really supplement the original. For instance, the movie establishes that Wolverine and Sabertooth were once incredibly close. Yet, according to the film timelines, Sabertooth is next seen as a near mindless beast who seems to have no connection with Wolverine at all. Meanwhile, Scott Summers/Cyclops, despite owing this man his life has no recollection of who he is at all. Neither does Professor Xavier, who arrives to the scene but doesn’t seem to realize Wolverine is even there. In fact, despite ostensibly making Wolverine the very center of events, there seems to have been no impact of him being there – almost as if it happened in another world. Rather than being the source of answers and depth, it rewrote the world to serve its purposes, eventually becoming little more than an alternate universe when later movies implied it may never have happened. On the other hand, another film centered on the character actually does its best to move into the gaiden territory. 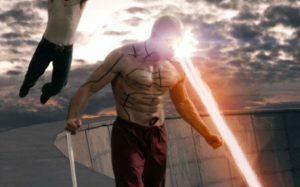 Logan, unlike X-Men Origins, was a film where in a greater level of depth was given to characters without having to rewrite everything to serve their plot. Stemming from the dramatically different timeline at the end of Days of Future Past, Logan steps into this new world where the Sentinels never became a threat and shows just where mutant-kind was headed next. It portrays elements that couldn’t have been seen elsewhere, going in depth on the burden of their powers on the likes of both Logan and Xavier. It added to their relationship, gave greater meaning to the arcs they had gone through together and completed those arcs in meaningful fashion. And, while it added to the stories of Logan and Charles, it left the ends for many characters quite vague so that it only leaves a final answer for those two. Yes, a terrible event was known to happen in their home in Westchester, but we don’t know who was or wasn’t there. 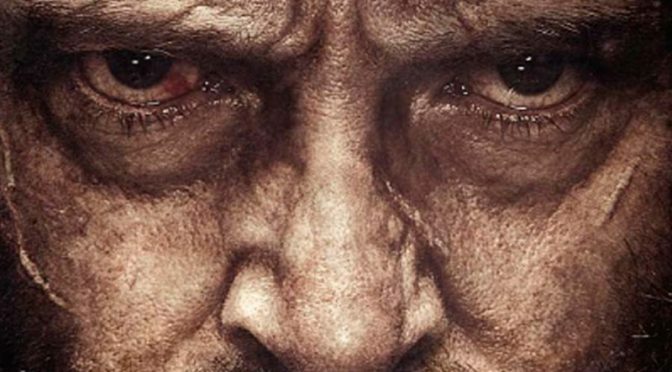 For all we know, any of your favorite characters could still be lurking in the world of Logan, ready for their own side-stories to be told. Shines a light on things that couldn’t be seen before.